Dr. Holloway’s Estate Sales is operated by Clinton J. Holloway, a resident of Nashville since 1999. He holds degrees in Humanities and History from Milligan College and Emmanuel Christian Seminary in addition to having completed coursework at Lipscomb, Middle Tennessee State and Vanderbilt University. His involvement in the antiques and collectibles field began with attending auctions and setting up at flea markets at the age of 12. 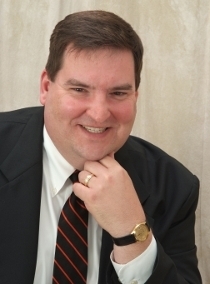 Clinton J. Holloway is the only estate liquidator in Nashville who is also a trained archivist, historian and author. A columnist for the Nashville Retrospect, a newspaper devoted to Middle Tennessee’s rich heritage; Clint is the author of over three hundred articles and eight books. The same dedicated research that goes into his writing goes into researching your art, antiques and collectibles so that we realize the best prices possible when conducting your sale. Personal service is our mission. At Dr. Holloway’s Estate Sales We Take Care of You! "What am I going to do with all this STUFF?!?! Practical insights for downsizing or having an estate sale."